Coconut water is an excellent way to hydrate your body this summer. Thanks to its high concentration of electrolytes, paired with its vitamins E and B, antioxidants, fiber and minerals, this enriched formula makes it the perfect beverage for those hot, humid days. Its deliciously sweet, almost nutty flavour not only refreshes the entire body, it can also help to boost your energy level. Although coconuts have slowly become a hot and versatile food and cooking commodity, it also offers a ton of skincare benefits as well. 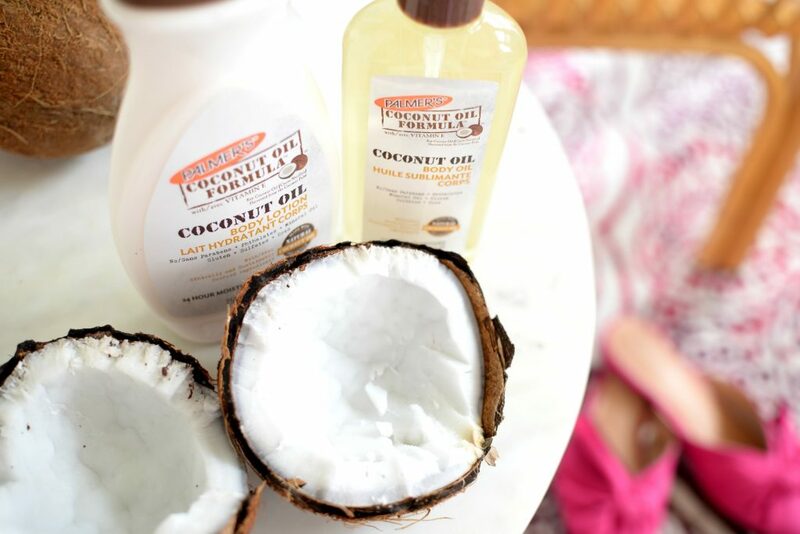 Adding coconut oil to your daily beauty regimens can leave your skin looking and feeling healthy, youthful and glowing. That being said, as much as I love the benefits of coconut oil, I can’t get behind the greasy and oily residue it leaves behind on my skin. 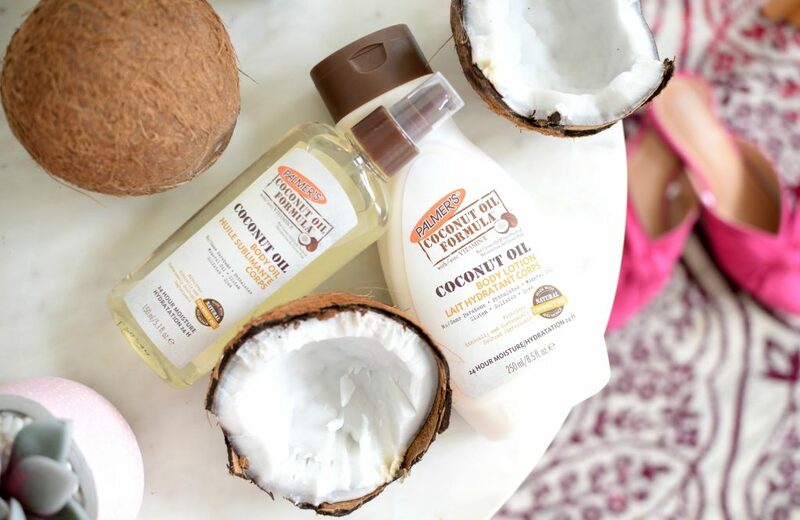 The new Palmer’s Coconut Oil products not only drench my skin with mega-moisture, its lightweight formula absorbs quickly into the skin. The brand prides itself on creating products that are not only ethically and sustainably sourced but are free of harsh chemicals and dyes. 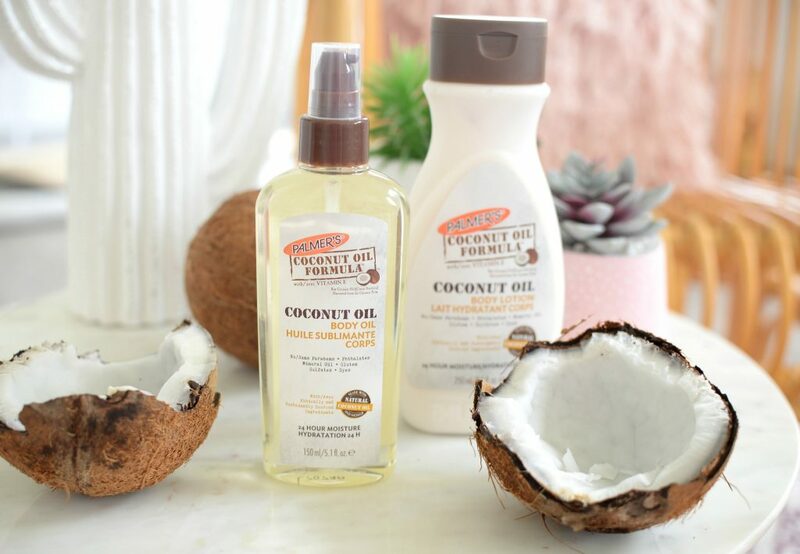 Because coconut oil offers antibacterial, antifungal and moisturizing benefits, it has quickly become a key ingredient in the beauty and skincare world. 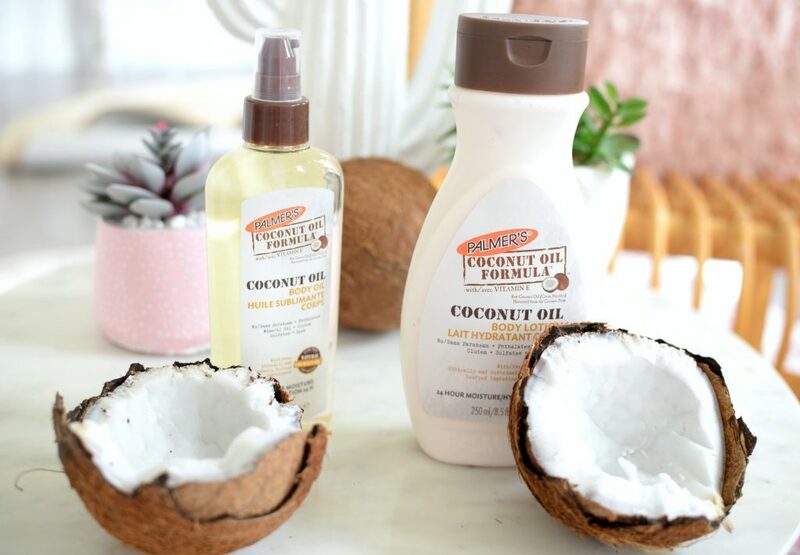 Both Palmer’s Coconut Oil Body Oil and Body Lotion are formulated with raw coconut oil to help soften and moisturize the skin, Tahitian Monoï Oil to help hydrate and nourish the skin, along with Sweet Almond Oil to help soothe and comfort the skin. Both instantly boost hydration, while rejuvenating and replenishing the skin’s natural moisture levels. It drenches the skin in moisture for a glowing, dewy, almost lit-from-within finish. Each retail for $5.99 and can be found at your local Wal-Mart. I’m a huge believer and supporter of the double-cleansing method, when it comes to my nightly skincare routine. This not only helps to fully remove all traces of makeup, dirt and daily grime from the skin, it helps to ensure my breakouts stay under control. 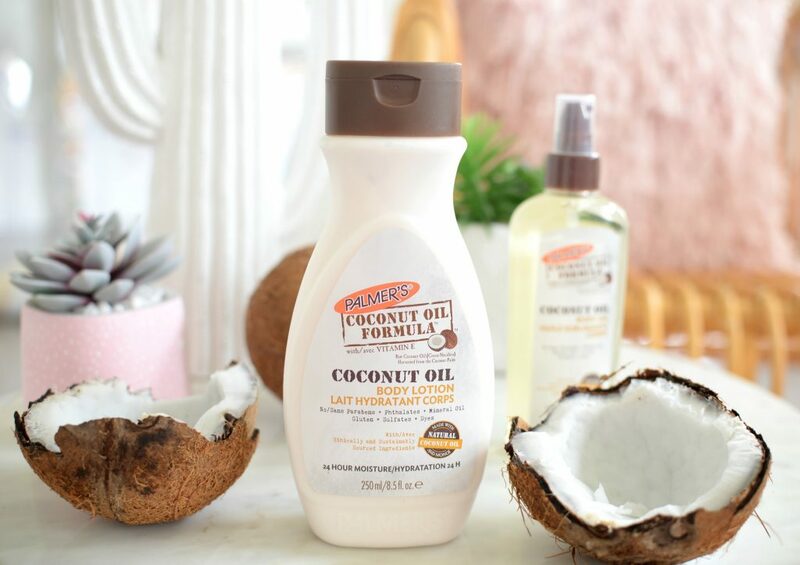 I’ve actually been using the Palmer’s Coconut Oil Body Oil as my makeup remover as it is gentle on the skin and doesn’t sting my eyes. I place a small amount on a cotton ball and gently sweep all over my face, including my eyes. It does an amazing job of breaking down all traces of my makeup, even waterproof mascara. Unlike other makeup removers, that can strip my natural oils, leaving my skin feeling tight, dry and irritated, this actually helps to soothe and hydrate my skin. 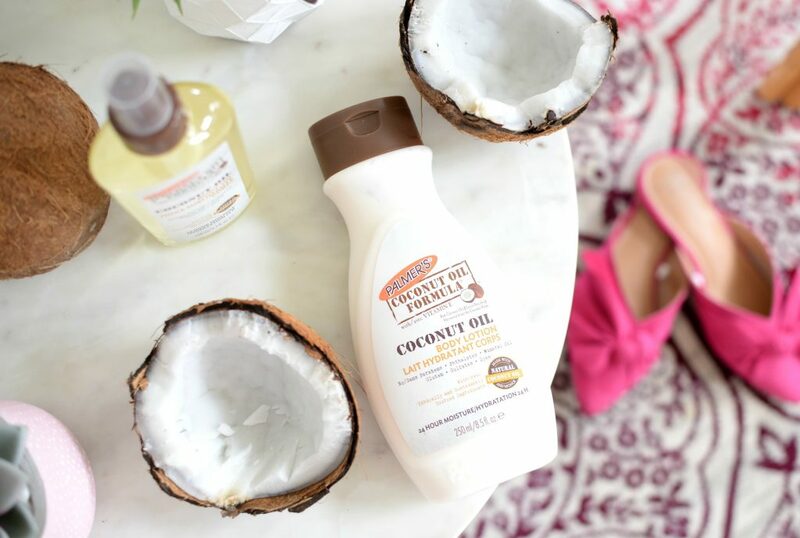 I then follow-up with my favourite face wash.
On days when my lips are feeling extra chapped or flaky, Palmer’s Coconut Oil Body Oil can bring my pout back to life. I apply a drop to a Q-tip and swipe all over my lips. I can also mix a tiny amount in with some brown sugar, for a nourishing lip scrub. I place the mixture onto a soft toothbrush and gently use circular motions to lightly exfoliate my lips. 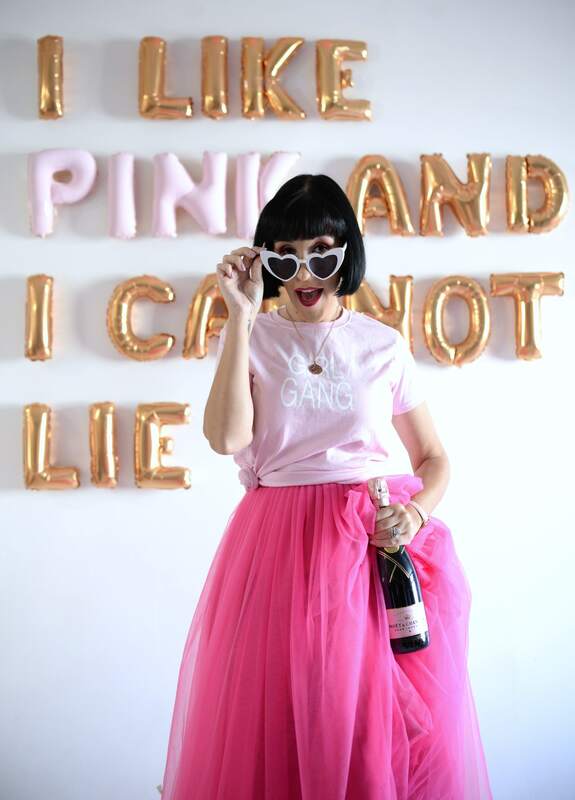 It’s the perfect TLC my lips need after a busy day of testing out drying matte lipsticks. 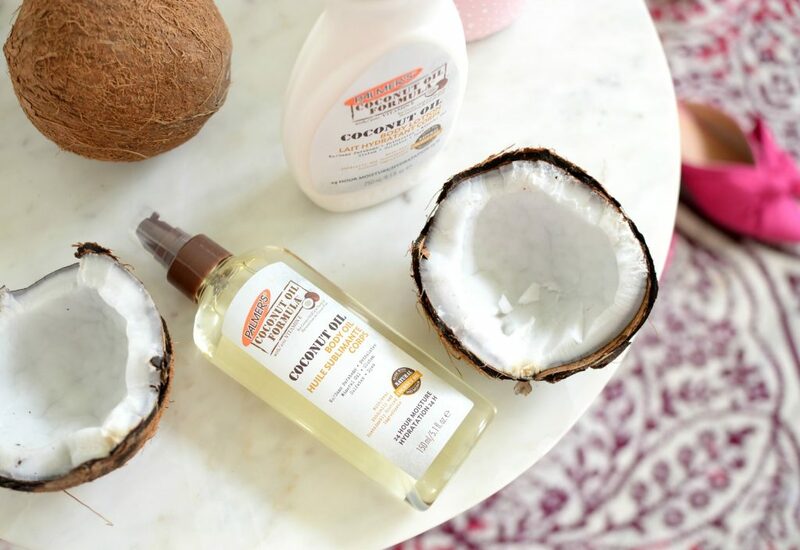 Of course, you can use the Palmer’s Coconut Oil Body Oil as it’s intended, as an all-over body treatment. Its incredibly lightweight, thin and silky-smooth texture immediately absorbs into the skin without a greasy residue. Its weightless formula feels like you’re wearing nothing at all and is perfect for everyday use. You’re able to get dressed within a minute of applying, allowing you to get on with your day sooner than other body lotions and butters. It helps to lock in moisture, while soothing dry areas and improving skin’s texture. 24 hours of hydration without an oily finish. 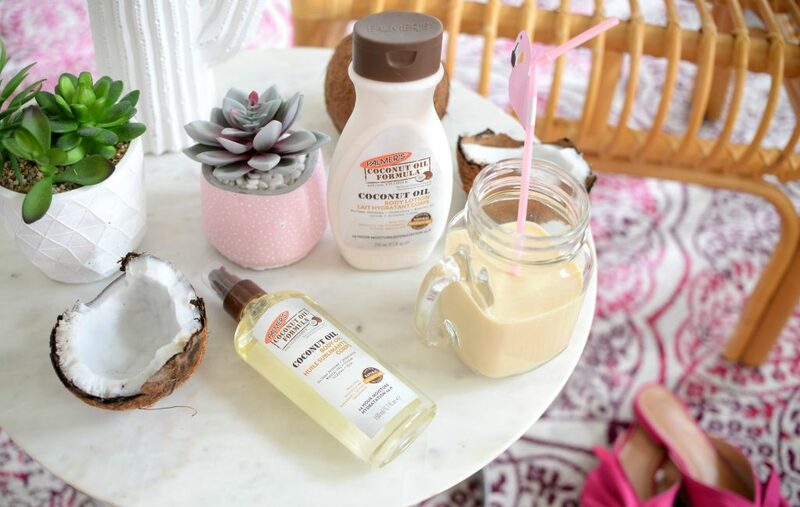 On days when you’re looking for that extra step in hydration, reach for the Palmer’s Coconut Oil Body Lotion. Its incredibly rich, soft and silky texture is perfect for applying after you get out of the bath or shower. It seeps into the skin immediately, and quickly goes to work heeling dry, cracked skin, for a youthful and glowing appearance. It helps to seal in moisture deep down in the skin to help keep it hydrated and supple for upwards of 24 hours. It can help smooth rough calluses and even cure and illuminate hard cuticles over time.